Let’s start off the month on the right foot, by doing a giveaway! Allergic Traveler has 2 sets of tickets to the Gluten Free and Allergy Free Event in Charlotte that you could win! If you have never been to this show, you are missing out. There are all kinds of local and national safe products for you. You can try things that are nut free or gluten free, sometimes there are even dairy free items. Aside from the multitude of food vendors like Enjoylife, Glutino, or Wowbutter, there are also products like gluten free make up or chemical free cleaning products. I promise you, you will end up walking out of there completely stuffed! You can check out the complete list of vendors here. We have been to this show many times before. Every time we go, we get to try new products and meet new friends! This year, Allergic Traveler will also be presenting. We will be discussing traveling with dietary restrictions. We will be sharing some of our tips and stories. Things like what to expect? How to be prepared? Should I really go on this trip? In the meantime, for your chance to win tickets, simply leave a comment here with your best travel tip for those with dietary restrictions. 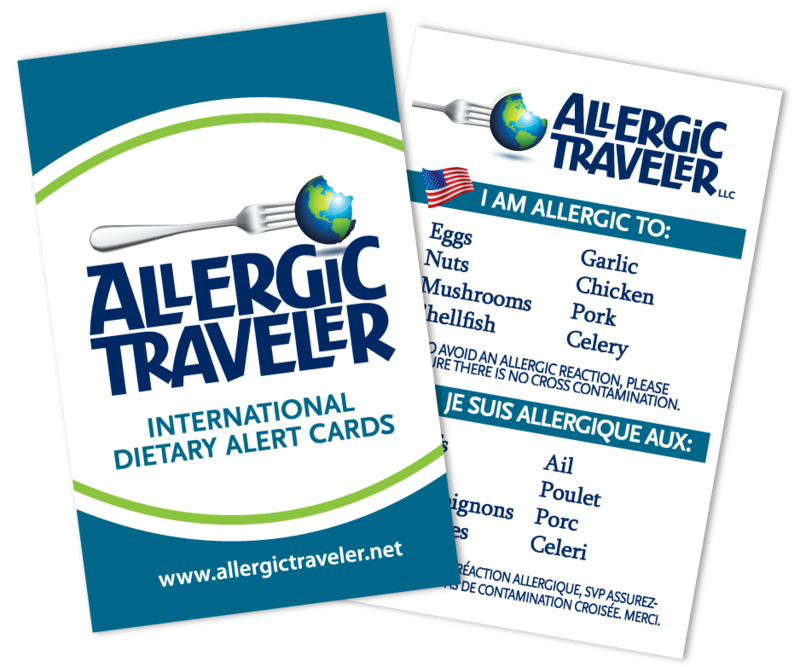 If we use your tip in our presentation, you will also be entered to win a set of Allergic Traveler cards customized to your dietary restrictions. Winner will be chosen at random. Winners will be announced March 28. Good luck! My tip is if you know your going to be in an area that’s not celiac or Gluten Free friendly I prepack my meals and snacks for the road and know I will be safe and what is in my food. I don’t have to miss a meal and yes I have taken my own food in to a restaurant. Better safe then sick. Missed the last one in Charlotte due to an accident. Hope nothing prevents me from going thus time. My tip is to be prepared. With having 3 kids I try to make sure I always have snacks on hand. Also when planning a road trip map out the restaurants that are safe for you to eat that way there’s no craziness at lunchtime looking for a place to eat with kids screaming in the back saying they’re hungry. Safe Travels to everyone. My biggest tip is to prepare small meals or snacks that can be transported easily- shredded chicken in a cooler can be added to any salad you find, protein-filled muffins for quick meals, and even nut/homemade trail mixes can help with a long drive! Drum roll please… we have a winner! Congrats to Melinda Harris! 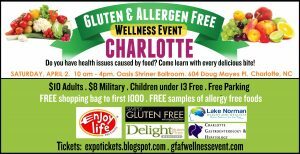 You have won a set of tickets to the Gluten Free and Allergy Free Event in Charlotte for this weekend. Please email us at tarah@allergictraveler.net for details! Thank you all that entered. Looking forward to meeting you this weekend. Well some people have all the luck! It turns out that Melinda already won a set of tickets. Love the honesty and the fact she wanted these tickets to go to another deserving soul. So we pulled another winner.. and it is… Merna A. Please get in touch with us at tarah@allergictraveler.net Thanks again to all the participants!